It is fitting that upon the first woman shattering a 240-year-old glass ceiling by capturing the Democratic nomination for President of the United States, our new non-profit professional trade organization also makes history, launching WINE WOMEN, with the exclusive goal to advance women’s professional careers in the wine industry by fostering and nurturing talent, providing networking and training opportunities, as well as advocating for better opportunities for women in this industry. 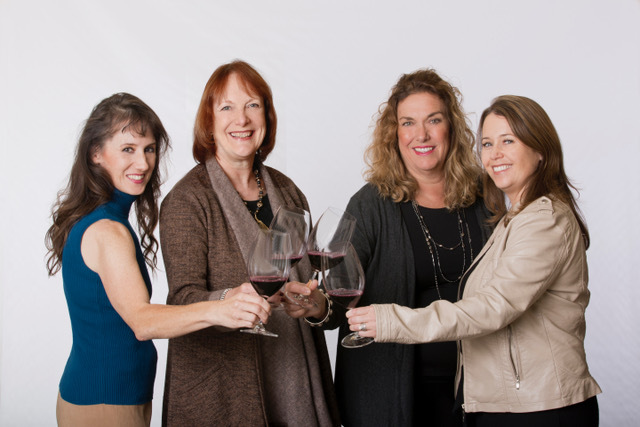 As four women who’ve been around the wine industry block more than once, we recognized not just a need—but a great void—in nurturing, supporting and loudly amplifying the talents of women working in this industry. For decades, women had been overcoming Melchior-size obstacles to achieve success in their wine profession. And yet today, only 10% of head winemakers in the Napa/Sonoma wine-making region are women. Only three women have been inducted into the Vintners Hall of Fame, representing a mere 6.25% of all those who have been inducted. To top it all off, before retiring, a woman typically loses more than $435,000 over the course of her career because of the current wage gap! That’s the cost of a house! Ladies, we have a lot of work to do! Our trade organization extends beyond prudent wine enjoyment and education to provide the tools, guidance and creativity for members to attain industry prominence. Success is measured through member happiness and satisfaction in the services and benefits they receive as well as their ascendancy in career development. Developing and maintaining a breadth and depth of eminent members is essential to the growth of our community. We are driven to continually improve our services, programs and outreach to expand the organization’s strength, reputation and influence. Do you agree that it’s all about building strong relationships? If so, then this may be the right organization for you. Consider joining as a Member. It’s not about us. We founded this non-profit to help you. As a Member, you’d be in the perfect position to shape it into what you want and need for your career. Write your story with WINE WOMEN! Photo at top (L to R): co-founders Marcia Macomber, Christine L. Mueller, Ellen Reich Luchtel and Jackie Egidio. Learn more.